DETROIT -- General Motors says it doesnt expect to reach debt-reduction agreements with the UAW and bondholders by a May 26 expiration date. In a U.S. regulatory filing today, GM said it expects to announce on May 27 whether the expiration date will be extended or whether the offers have expired. GM has said it is unlikely to make a $1 billion bond payment due June 1 because it will either have renegotiated terms or filed for bankruptcy protection by then. The automaker also owes $20 billion to the UAWs retiree health care trust. Its been trying to get the union to forego $10 billion of that debt. GM, operating on $15.4 billion in federal loans, has said bankruptcy is now probable. It would be majority owned by the U.S. government under the terms of a reorganization it has proposed to the U.S. auto task force. GM has offered the union a 39 percent stake in the reorganized company. GM also wants its bondholders to forgive most of the $27 billion it owes them in exchange for a 10 percent stake in the company. 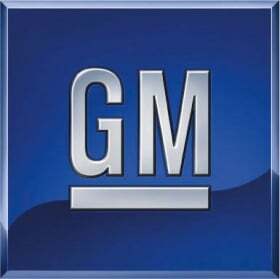 GM said if it reaches agreements on any of matters by May 26, it will disclose the terms.